In true Italian fashion, the subject of abolishing co-ownerships has been talked about for much of this past season, but the decision was only made about a month ago. When you also consider that the deadline for resolving them was yesterday, you can see why everyone was too busy to rush out and make ginormous offers to take our superstar, Matri off of our hands. Don’t worry, at his bargain price, I’m sure that he will go quickly now that these tedious co-ownership details are wrapping up. Co-ownerships were an anomaly in football almost unique to Italy. And while kind of complicated, their purpose to encourage the development of young players perhaps wasn’t being fully realized, so it’s not surprising that the FIGC chose to abolish them. We talked about this a little bit on the recent podcast with Steve and the one before that with the Fantastic Four, but clubs were allowed to either extend current co-ownerships for one final year or resolve them by the deadline yesterday, which would have been the normal deadline to make or extend these kinds of deals anyway. Still, the new ruling left clubs scrambling to resolve deals that might have otherwise been renewed this week. 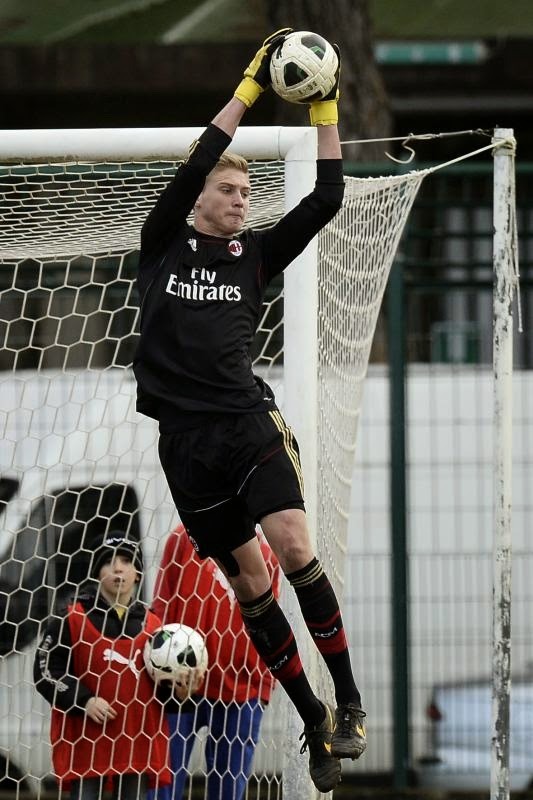 Buying out Gori seems like a good deal, perhaps the future of Milan's goalkeeping? Besides the obvious great choice to buy out Poli, for me, two deals with Serie A players really stood out. The first was Saponara, the ownership for whom Milan struggled up until the deadline day to resolve with Parma, but reportedly ended up buying out his contract for only €1m. They had previously paid €3.75m plus €.25 in bonuses, so would need to recoup the €5m they’ve spent just to break even should they decide to sell him this summer. He could stay at the club now if Kaka does in fact leave, but it is also possible that he could be loaned or sold. The second surprise deal for me was Paloschi. A fan favorite, and personally given the title of Pippo’s heir by the man himself before he retired, many fans will regret Milan selling him to Chievo. But the crime in all of that is the money we didn’t get for him. 18 months ago, when the co-ownership with Chievo was established, he was valued at €7m, so each club invested €3.5m in him. Now Milan dumped him for less than they paid, allowing Chievo to buy him out for only €3m. That wouldn’t be as bad if he had underperformed, but the kid had 13 goals in Serie A this season for Chievo. I repeat, 13 goals. And we took a loss on him. Incredible. Compare that to Matri’s single goal for Milan and even throw in his whopping four Serie A goals for Fiorentina. At a cost of only €11m, Galliani Maths™ don’t even justify the discrepancy. Especially when Milan had the option to bring Paloschi back instead of purchasing Matri. But it gets better. 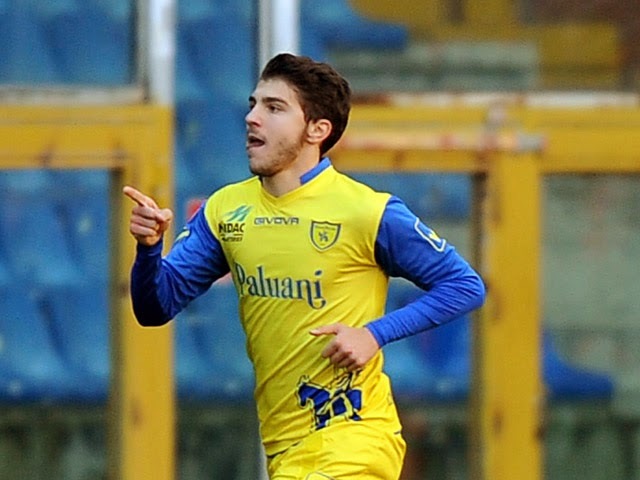 Chievo are only paying the paltry €3m for their double-digit young scorer over three years’ time. 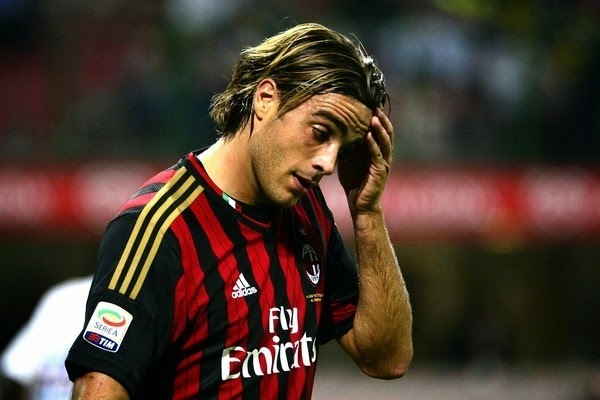 That means Milan will be just paying off the €11m for Matri (purchased last year on a 4 year payment plan) when we get the last of the €3m from Chievo for Paloschi. Inconceivable. 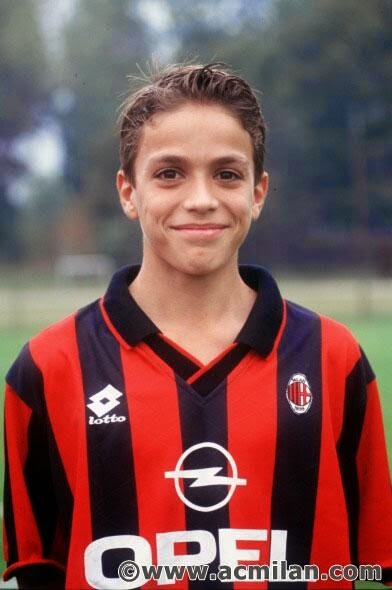 The irony of all of this is that Milan’s history of selling youth players for too cheap came full circle with Matri. Milan entered a co-ownership for him with Cagliari in 2007 with each club paying €2m. 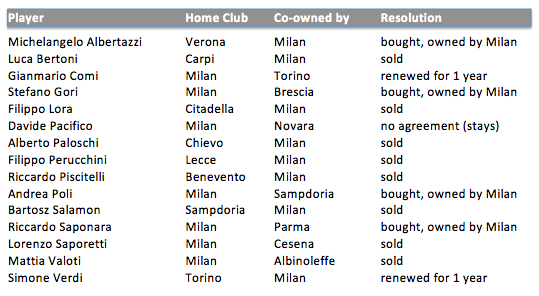 After one year, Cagliari paid Milan €2m to buy out his contract, so Milan basically broke even. In a moment of desperation or insanity or both after Pazzini was injured last year, Milan offered Juventus the infamous €11m for our former youth player, who after scoring 27 goals for our rival team in two years, gave us the one goal in half a season and is now the measurement of incompetence by Milan fans worldwide. Who would have guessed back in 1997 this boy would become the €11m man? 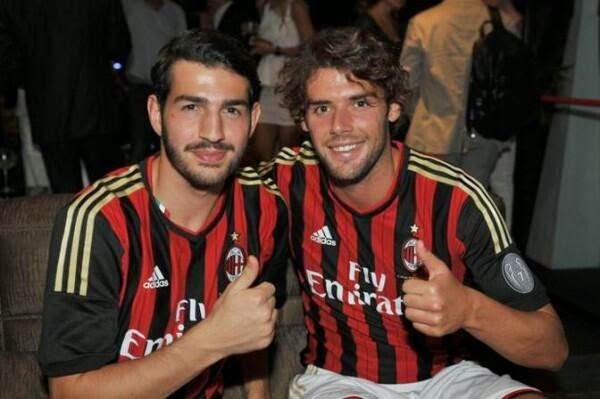 There are many more sad tales of Milan Youth players who were offloaded on the cheap either on co-ownership deals or straight sales and then went on to show the world that Milan cannot even scout their own talent and also enjoy throwing money away, too. So maybe the abolishing of co-ownerships is a good deal, since Milan are clearly incapable on capitalizing on the concept. However I worry that it will impact the development of youth in Serie A in general. Without the dual club investment that simply does not happen on simple loan deals, our future players may never develop properly. But then again, there’s Matri.